BAYONNE, NJ (June 4th, 2016) Color-A-Thon is coming to Bayonne ! Lincoln Community School PTO is hosting a Color-A-Thon Fundraiser on June 4th, 2016. This fun, healthy event is a fundraiser where students will be asking for donations and earning rewards depending on the level of donations they raise. At the end of the donation period, a 5k Color-A-Thon event will take place. 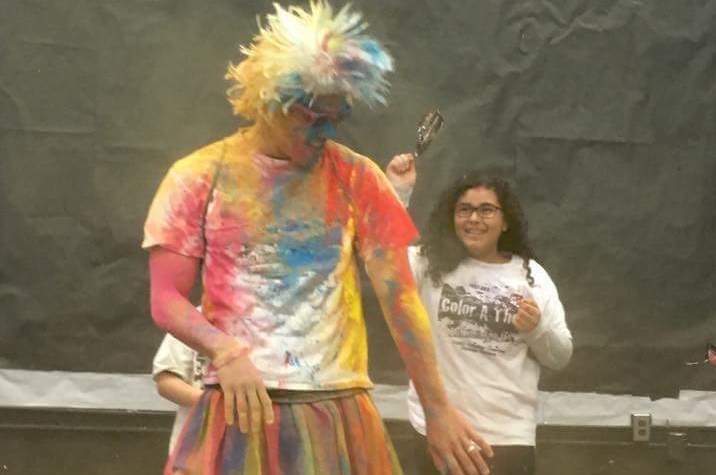 The students can walk, run, skip or cartwheel through a course where they will get blasted by color dust! To make it even more fun, the community is invited to participate in this Color-A-Thon event. The registration fee is $30.00 and includes a t-shirt and a color dye pack. To register go to http://shop.schoolathon.org/182682. The Lincoln Community School PTO Color-A-Thon will be on June 4th, 2016 at 9am. It will be held at the lower level of 16th Street Park in Bayonne, NJ. To donate or register, contact a student or go to http://shop.schoolathon.org/182682. Call Jodie Markey at 201-996-7957 for more information regarding this fun, healthy and charitable community event For more information about Color-A-Thon, go to www.schoolathon.org.